The threshold for being overweight and obese should be lowered for British Asians, international experts say. People of South Asian origin are more likely than white people to develop heart disease and type 2 diabetes. To reflect this, Indian health chiefs have changed their measuring system and said other countries should follow suit for people of South Asian origin. GPs in the UK agree a better system is needed, but have put forward another option to pick up those at risk. Standards used around the world to tell when someone is overweight or obese are based on data from Caucasians. These state that people with a body mass index (BMI) - calculated using weight and height - of 25 or more are overweight. They are obese if it goes above 30. In India those limits have been lowered to 23 and 25, to reflect the risks for their own population. 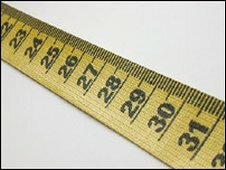 They also have lower thresholds for waist circumference measurements. The move has in effect led to an extra 70 million people being re-classified as overweight or obese. This means that doctors in India are encouraged to intervene earlier, sometimes with drugs or surgery. Dr Anoop Misra, who helped to draw up India's guidelines, said the new measures should be applied for people with a South Asian background wherever they live. "They should be followed for South Asians - Pakistanis, Bangladeshis, Nepalis - they are almost similar. "So for the time being, until guidelines for other population groups are available, I think this should be applicable for all south Asians - not only in the UK, but in any country of the world." 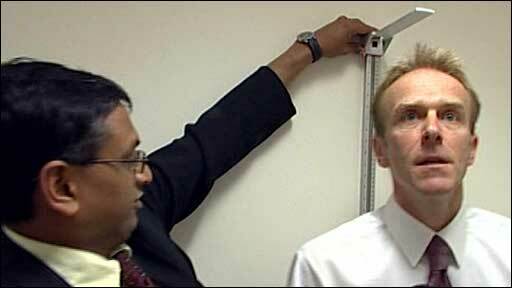 In the UK doctors also worry about delays in diagnosing obesity-related problems - particularly among British Asians. All too often people come along to diabetes clinics too late to prevent lasting damage. But clinicians are divided about the Indian approach. Dr Ponnusammy Saravanan, from the South Asian Health Foundation, said more research was needed before treatment is brought forward. "There is no doubt that lifestyle modifications will prevent future diabetes and cardiovascular disease. That is clearly proven. "However there's still very limited evidence of introducing drug treatment and bariatric surgery at a lower threshold for South Asians. We clearly need more studies on those areas before we embark on a wider scale in the NHS." But Professor Stephen Field, president of the Royal College of GPs, supports earlier intervention with drugs and surgery for British Asians - although he stopped short of agreeing the Indian approach should be applied in the UK. "The evidence is there. This is an urgent situation because of the increase in diabetes across the Asian population in the UK. Our patients are at risk. They need to be identified early early, and treated aggressively." The Royal College of GPs is backing a new system called Qrisk2 to identify the patients who need help most. It is a computer-based checklist, using information like BMI and ethnic background, to work out the risk of heart disease or stroke. Professor Field said the system, which may be recommended for NHS use soon, was a great advance. "It looks at patients who've come from Bangladesh, Pakistan and from India who are more at risk. "And then it allows us therefore to put a much more appropriate risk score onto that patient which will indicate that we ought to give them treatment at an earlier stage." Pav Kalsi, Care Advisor at the charity Diabetes UK, said South Asian people made up 4% of the total UK population, but an estimated 8% of people with type 2 diabetes. "It is crucial we examine new methods of identifying South Asian people who are at increased risk of developing type 2 diabetes. "It will be interesting to see how effectively the new BMI cut-off points for South Asian people in India pinpoint those at increased risk of obesity-related conditions."